What's new in MotionSolve 2017 ? Watch the video to see what's new in the most recent release of MotionSolve. MotionSolve 2017 contains 20+ major enhancements. Many are applicable across all industries. Here we highlight some of the most important capabilities that are new to HyperWorks 2017. Some capabilities are categorized as experimental. 2D contact can be faster than equivalent 3D contact by 2-10X. 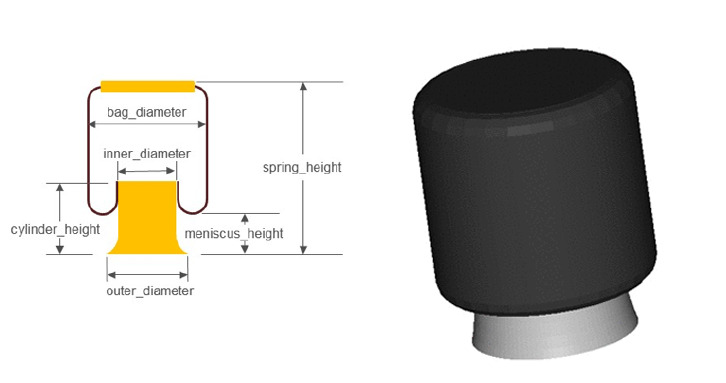 You can create 2D curves by selecting geometric features of the imported CAD. You can select smooth and non-smooth curves. All the analysis and output capabilities of 3D contact are also available for 2D contact. 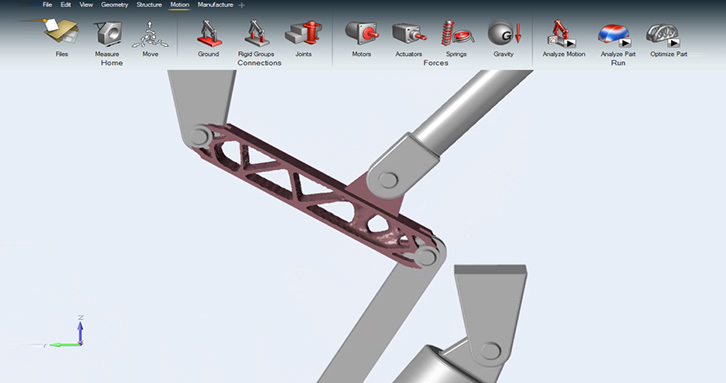 MotionSolve now supports a complete set of co-simulation with solidThinking/Activate. 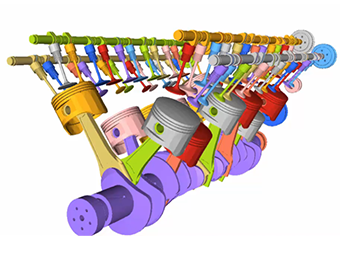 Through this interface, you can import MotionSolve plant models into a 1D environment, connect it to signal based controllers; Modelica based physical representations; and FMUs that adhere to the FMI specification. You can then perform a system level simulation or optimization. 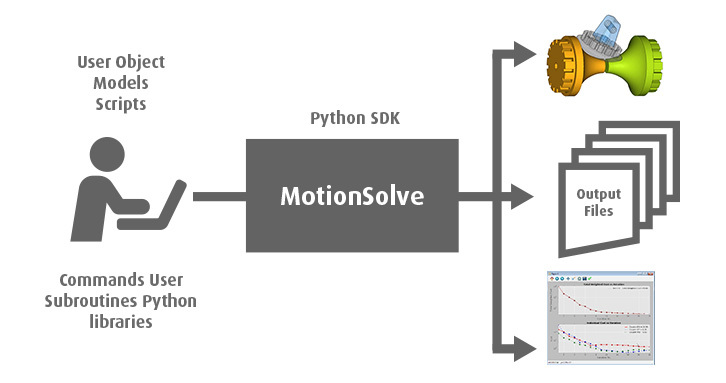 MotionSolve now supports a library of nonlinear finite elements. Parametric definitions for commonly used systems such as beams, cables, belt-pulley systems and coil springs are now available. You can build complex systems with bodies with nonlinear material properties and undergoing nonlinear deformation plus large rotation without even meshing! A graphical leaf spring builder allows you to easily build and test parametric leaf springs. You can deflect a leaf spring fro design to loaded position and output the model in this configuration. Interactively assemble trucks, run ½ and full-vehicle events test, look at simulation reports and improve their behavior. The library includes several different leaf spring and air spring based front and rear suspension topologies, steering systems and powertrain. All new full vehicle event editor user interface for quickly editing SAE standard events to suit the vehicle being simulated. MotionSolve 2017 includes new component test rigs for Auto Entities such as AutoSpring, AutoAirSpring, AutoDamper, AutoBumpStop and AutoReboundStop. With these test rigs you can analyze a component and understand its behavior in the form of plots of its key characteristics and animations. 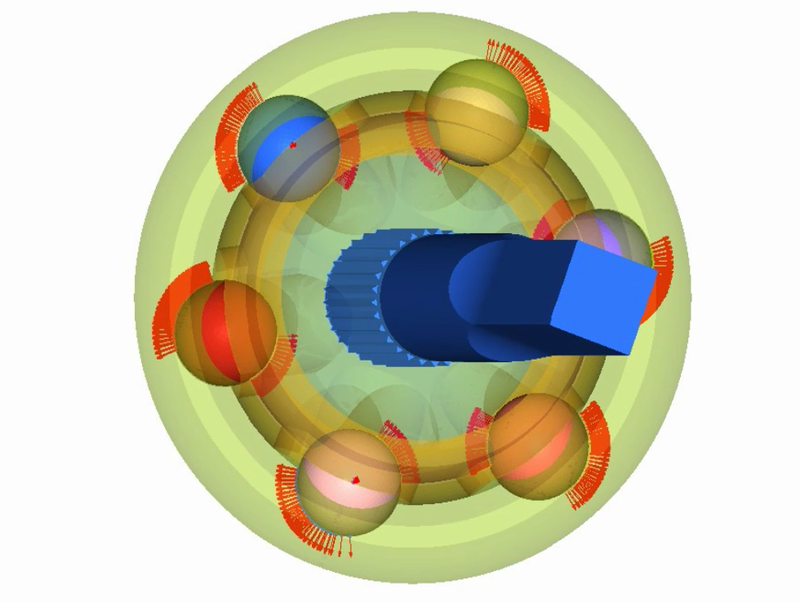 A new air spring entity is now available in the MotionSolve automotive solution. 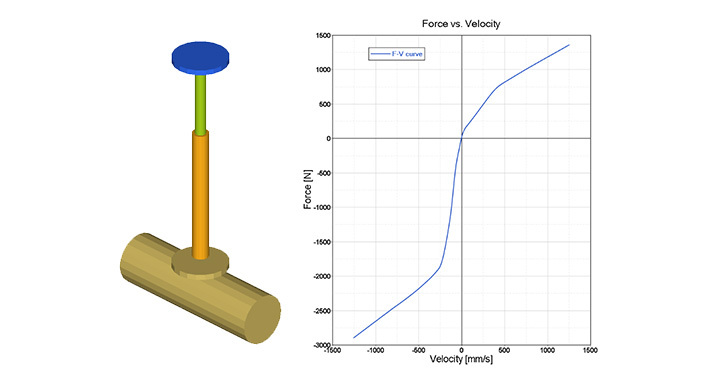 The air spring force is interpolated from a table of force vs. spring height and static inflation pressure. Air spring manufacturers typically publish this information.